The phrase urinary tract infection conjures up specters of pain, burning, fever, irritation and sometimes bleeding- a veritable nightmare for today’s multitasking woman. Catching and treating UTIs at the earliest (apart from avoiding them altogether!) are your best bet for avoiding long-drawn out health complications. 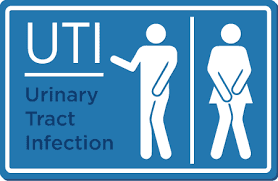 The quickest and most effective means of dealing with UTIs is to get medical treatment. A course of antibiotics is prescribed to stop the infection-causing bacteria in their (urinary) tracks and to prevent a relapse. Though effective, these antibiotics tend to have side effects like acidity ,metallic taste in mouth diarrhea, loss of appetite etc. Some people may be allergic to a particular drug and may develop rashes and itching. If you experience any of the above, seek medical assistance. Wear non-restrictive and loose clothing that won’t put pressure on your abdomen. There are specific bladder analgesics (pain killer) tablets available.Ask your doctor to prescribe them to you. Taking the antibiotic to kill the bacteria and increasing fluid intake to flush them out go hand in hand. Fluid intake thus becomes very important. Drinking water, green tea, and cranberry juice will cleanse and rid the urinary tract of any bacterial remnants. Many women especially college going and working ones, will experience recurrent urinary tract infection. Therefore, drink plenty of water, empty your bladder frequently, wash and wipe yourself after using the bathroom. You can ask your doctor to prescribe you pH balanced medicated feminine wash for regular use. At times investigations of urine like routine microscopy, culture & sensitivity testing to know type of bacteria are done. Checking blood for hemoglobin and sugar levels also is done. Prevention is far better than any known cure. So stay hydrated, let it go, and allow your bladder to do its job!